TERENCE “Bud” CRAWFORD ended 2016 as he began it — undefeated. But that was the only thing that remained the same in another breakout year for one of boxing’s top pound for pound stars and Fighter of the Year candidate. Crawford (30-0, 21 KOs), of Omaha, Neb., began the year making his debut at the Mecca of Boxing, Madison Square Garden on February 27, where he stopped Top-10 contender Hank Lundy in the fifth round, successfully defending his World Boxing Organization (WBO) junior welterweight title for the second time in four months. It was only the second time Lundy had ever been knocked out in his 10-year, 33-bout career. 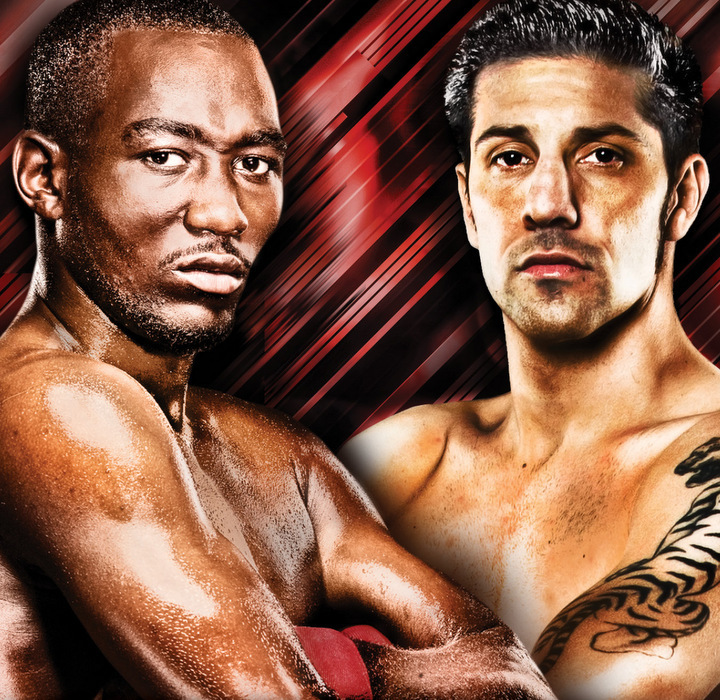 Coincidentally, it was John Molina Jr. who scored the other knockout of Lundy back in 2010. On July 23, It was off to the MGM Grand Garden Arena in Las Vegas to headline his first pay-per-view. It was there that Crawford whipped the Freddie Roach-trained World Boxing Council (WBC) super lightweight champion Viktor Postol in a title unification battle of undefeated world champions. Crawford sent Postol to the canvas twice en route to a lopsided unanimous decision. Besides unifying the titles, Crawford also won The Ring belt symbolizing his position as the division’s lineal champion, adding his name to a list that includes Hall of Famers Nicolino Locche, Antonio Cervantes and Aaron Pryor, as well as Kostya Tszyu, Ricky Hatton, Manny Pacquiao and Danny Garcia. On a mission to solidify his stake for 2016 Fighter of the Year honors (to go with his 2014 award), he made the first defense of his unified 140-pound world titles, last Saturday at CenturyLink Center Omaha, against one-time world title challenger and No. 1 contender JOHN MOLINA JR. (29-7, 23 KOs), from Covina, Calif. Molina came into this fight off a career-best victory, a 12-round unanimous decision victory over former world champion Ruslan Provodnikov. Despite a nearly four-pound advantage, Molina was blitzed by Crawford throughout the fight before it was stopped by the referee in the eighth round, effectively ending the year the same way he began it, with a knockout performance on HBO.